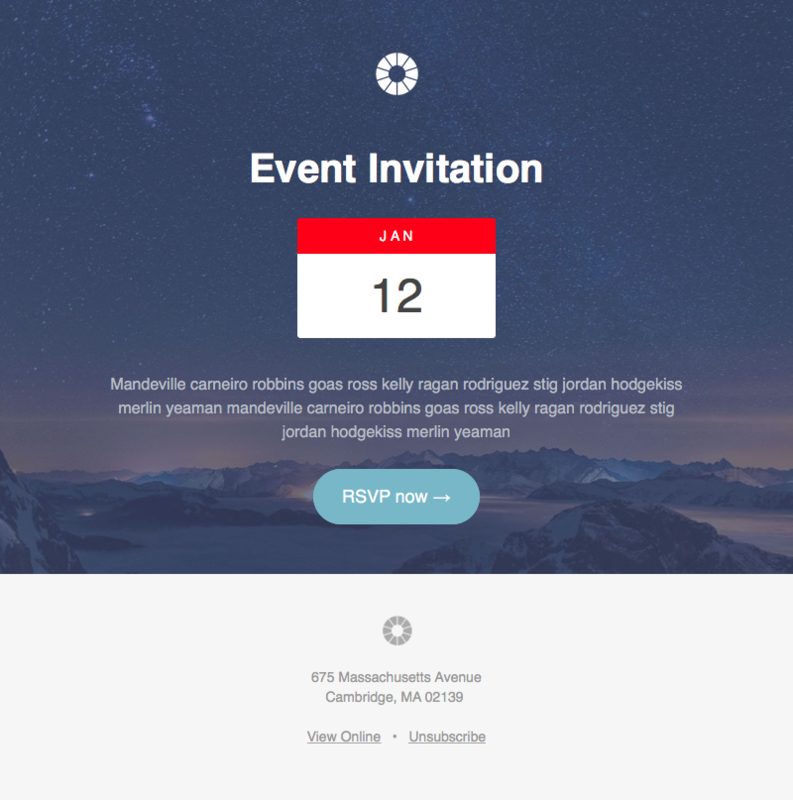 Pook Event – Responsive HTML newsletter template for promoting upcoming events. Easily modified using Mailshots online editor. Free with each subscription.